A gorgeous satin slingback in the exact color of autumn afternoon sun. 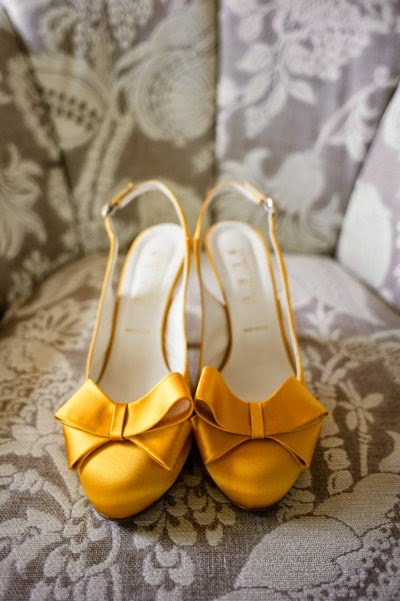 Image by Anna Sawin, Nadine slingbacks by Something Bleu for BHLDN. I've always loved shoes this color paired with a wedding dress. It's so romantic! I am adoring these! Autumn and satin, it's heavenly.